Nashville, TN – (May 31, 2016) – It honestly doesn’t get much better than this: country music superstar Blake Shelton’s new album If I’m Honest is the number one selling album in America this week, topping the Billboard Top Albums Sales Chart and becoming his third consecutive album to hit number one on the Billboard Country Albums Chart. Simultaneously, the album’s first single “Came Here To Forget” reached the top spot on the Billboard Country Airplay Chart and the Country Aircheck Chart, making it his 17th consecutive number one single and 22nd overall. Miranda Lambert will be putting her eclectic lifestyle boutique, The Pink Pistol all under one roof in her hometown of Lindale, Texas. The flagship store will be moving to a newer and bigger location beginning of August. The new location will have a larger inventory, more “Miranda’ize" merchandise, and unique shopping opportunities for her fans. The Pink Pistol in Tishomingo, Oklahoma will close. NASHVILLE – Country superstars Brad Paisley and Carrie Underwood will be returning to host Country Music’s Biggest Night™ in 2016. “The 50th Annual CMA Awards” airs live from the Bridgestone Arena in Nashville Wednesday, Nov. 2 (8:00-11:00 PM/ET) on the ABC Television Network. NASHVILLE, TN – May 24, 2016 - “Dierks Bentley, King of the breakup song, is back in BLACK” (Noisey), releasing details today of release week plans surrounding his eight studio album BLACK (Capitol Records Nashville), out this Friday May 27, with multiple national television performances and fan events. NASHVILLE, TN - MAY 23, 2016 – Grammy Award-winning group Little Big Town will perform the new song, “One Of Those Days,” tonight on the season finale of NBC’s “The Voice,” with the song available on iTunes, Spotify and all digital service providers now. 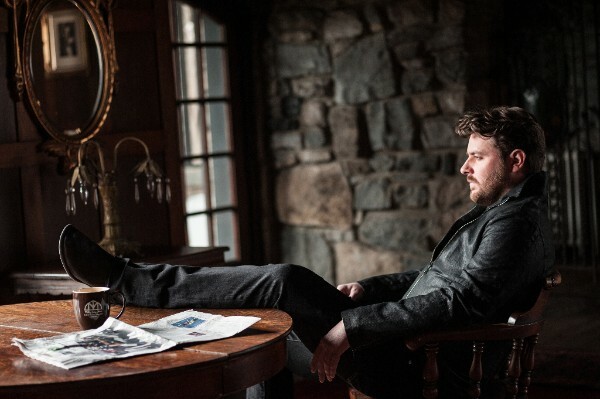 Nashville, TN - May 23, 2016 - RCA Nashville’s Chris Young ships his new single, “Sober Saturday Night,” to Country radio today. The song, penned by Young as well as Brad Warren and Brett Warren, features Country Music superstar Vince Gill adding background vocals and his ever-precise guitar talent. Nashville, TN – The highly anticipated new album from RCA recording artist Jake Owen entitled American Love will be released on July 29, 2016. Today, Jake announced the release date and revealed the title and album cover for his fifth studio album via Facebook Live. NASHVILLE, TN – (May 19, 2016) – Country superstar Blake Shelton is sharing a special and personal message about his new Warner Bros. Records/Warner Music Nashville album If I’m Honest, out Friday, May 20, and available now for preorder. ST. LOUIS, Mo. (Monday, May 16, 2016) -- “The reigning queen of country music demonstrated why she wears the crown,” Amanda S. Amand of the St. Louis Post-Dispatch raved of Miranda Lambert’s Keeper of the Flame Tour opening set on Friday, May 13 at Hollywood Casino Amphitheatre in Maryland Heights, Mo. with openers Kip Moore and Brothers Osborne. Perhaps that’s why a storm rolled in just an hour into Lambert’s set, mother nature’s way of offsetting the heat radiating from the seven-time Female Vocalist of the Year’s first tour stop of the season. NASHVILLE, TN – (May 18, 2016) – Singer-songwriter and electrifying live performer Chris Janson is excited to announce his new Buy Me a Boat Tour with more than 100 stops through the summer. 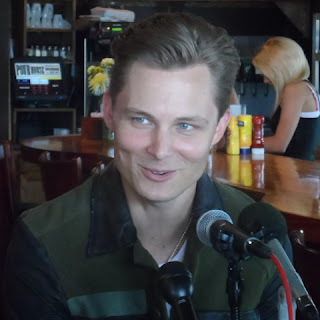 Riding the wave of success from his 2015 platinum megahit “Buy Me a Boat” and the breakthrough success of the Warner Bros. Records/Warner Music Nashville album of the same name, the CMT Music Awards and Music Row Awards nominee is taking it to the people this summer with a coast to coast headlining tour. 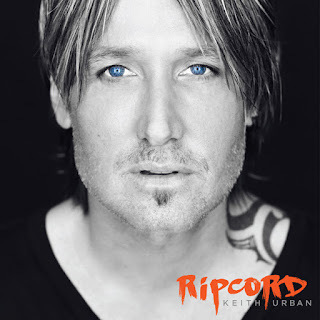 Keith Urban’s eighth studio album RIPCORD has debuted at No. 1 in the United States, Canada and Australia, marking the second consecutive time that the four-time Grammy Award winner has achieved that historic milestone, something that no other male Country artist has done. It is also Urban’s fifth No. 1 album. Asbury Park, N. J. (Thursday, May 12, 2016) – By the time Kenny Chesney leaned into his set’s last song almost two hours after taking the stage at the legendary Stone Pony, it was clear that the aptly titled “Don’t Happen Twice” captured the feeling of the chilly New Jersey night. Inside the belly-to-belly club, it was so hot the 8-time Entertainer of the Year was covered in sweat from the second song – and outside, the several hundred hopefuls who couldn’t get a ticket were bathed in the music rolling out of the open doors and onto Ocean Avenue. (NEW YORK) - After his breakthrough Sunshine & Whiskey, Frankie Ballard has gone and done something crazy for a country artist. He's recorded his next album in the actual country. As in nowhere-near-Nashville, cruddy-cell-service, see-the-stars-at-night country. NASHVILLE, TN - May 10, 2016 - This summer's "top must-see" (The Plain Dealer) 2016 SOMEWHERE ON A BEACH TOUR launches Thursday (5/12) in Holmdel, NJ, and multi-Platinum singer/songwriter Dierks Bentley is revealing details behind the BLACK Listening Bus, presented by BEATS, that will be parked at seven upcoming dates in advance of the May 27 release of BLACK (Capitol Records Nashville). All BLACK Card Members will have immediate access to the interactive bus and be entered to win other contests and merchandise. Fans can become BLACK Card Members now by pre-ordering the collection on Dierks.com or onsite for exclusive access to extra tracks, bonus videos and special items for purchase. NASHVILLE, TN - May 9, 2016 - Due to overwhelming demand, this year’s ACM "Entertainer of the Year" Jason Aldean and multi-Platinum award winner Kid Rock have announced a second stop at Boston's Fenway Park, scheduled for Sept 10th. After fans snatched every ticket in under 90 minutes to the first show (9/9), Aldean and Kid Rock will reconvene at the home of the Red Sox with Thomas Rhett, A Thousand Horses and Dee Jay Silver. Tickets for the new date will be available this Friday, May 13th at 10:00A ET on JasonAldean.com and LiveNation.com. Cole Swindell received a plaque for Platinum sales of his debut album as well as a plaque celebrating the Gold certification of his fifth consecutive multi-week No. 1 hit, the first off his album You Should Be Here, out today. Both were presented on the eve of the release at his launch party hosted in Nashville. 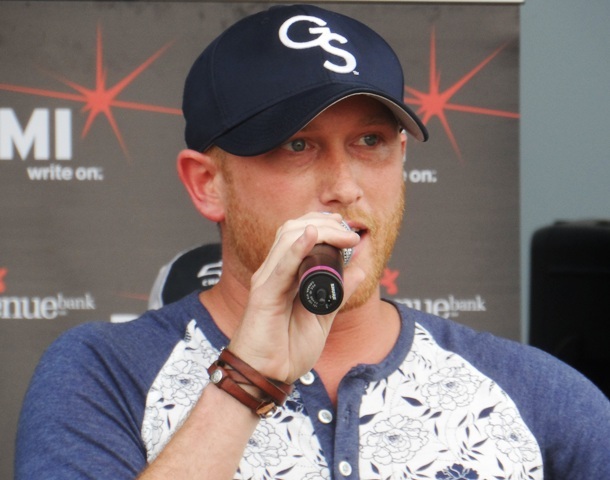 COLE SWINDELL CELEBRATES BRAND NEW ALBUM YOU SHOULD BE HERE WITH PERFORMANCES ON GOOD MORNING AMERICA, FOX & FRIENDS, TODAY AND JIMMY KIMMEL LIVE! NASHVILLE, Tenn. – (May 3, 2016) – Platinum-selling country star Cole Swindell is celebrating the highly anticipated release of his brand new album You Should Be Here with performances and appearances on Good Morning America May 9th and Fox & Friends May 10th, as well as TODAY and Jimmy Kimmel Live! May 11th. 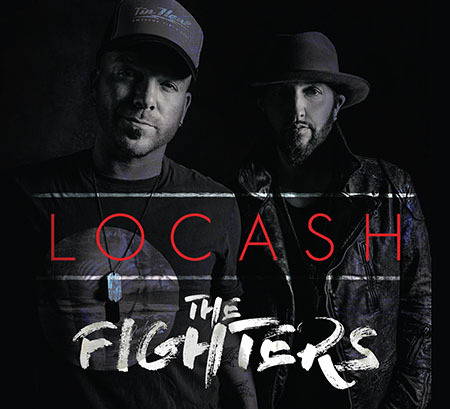 NASHVILLE, Tenn. (May 3, 2016) – LOCASH fans are eagerly looking forward to June 17, 2016. It’s on that date that the fast-rising duo of Chris Lucas and Preston Brust will release their first full-length album for Reviver Records, entitled The Fighters. NEW YORK (May 2, 2016) – In the midst of their sold-out European tour, multi-platinum selling act DIXIE CHICKS have announced additional North American dates to their highly-anticipated, hugely-selling DCX MMXVI Tour. November’s announcement of the DCX MMXVI Tour created a fan frenzy for tickets, quickly becoming one of Live Nation’s highest-selling tours of the summer and prompting the band to add additional dates to the already massive 40-city run. The long-awaited DCX MMXVI Tour, produced by Live Nation, will now visit over 50 cities throughout the U.S. and Canada, concluding at the famed Hollywood Bowl in Los Angeles, CA on October 10th. 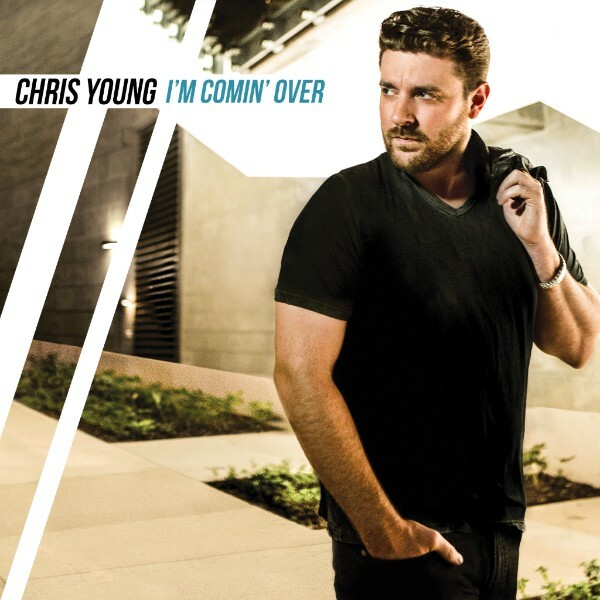 May 2, 2016…Nashville, TN…With an impressive string of sold-out shows running coast-to-coast, Billboard Music Awards nominee Chris Young is revealing the Fall run of his 2016 “I’m Comin’ Over Tour,” with 25 shows running September through the end of the year. CASE Construction Equipment will join the tour as an official sponsor.